Here be the classic Ektorp sofa bed covers that you've been looking for. An IKEA staple, round arms and comfy seats, what's not to love? Go for the fun-loving nautical stripes if you have a holiday or beach house, or get stately white linen to complete that traditional home. Check out all our Ektorp sleeper models here! Got an old IKEA Ektorp sofa bed you love that needs a fresh, updated look? Give it a much-needed makeover with our IKEA replacement slipcovers, which you can have tailor-made from over 70 gorgeous fabrics. 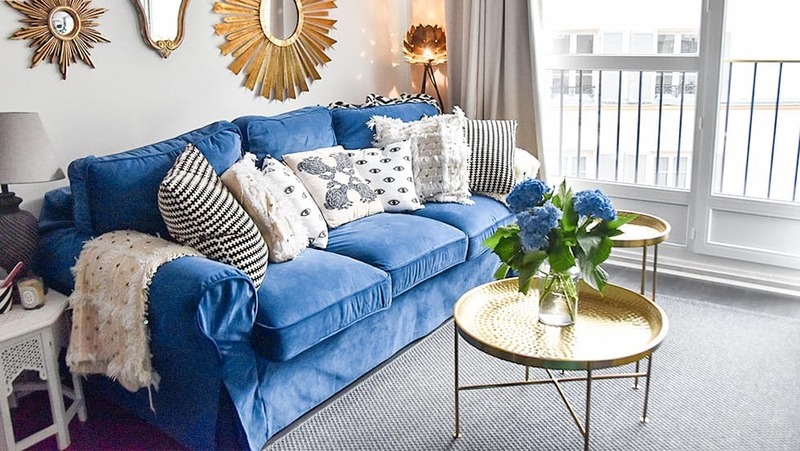 Then add personal touches such as pleats, skirts, piping and ribbons that give your sofa a unique look that's completely yours. Because our slipcovers are machine-washable, you never have to worry about getting your IKEA Ektorp sofa bed dirty. So just relax and should you get stains and spills on it, just take your covers off and throw them in the washing machine for an easy clean. This means that your newly-revived sofa bed will not only look better than brand new, it'll also be child- and pet-friendly.